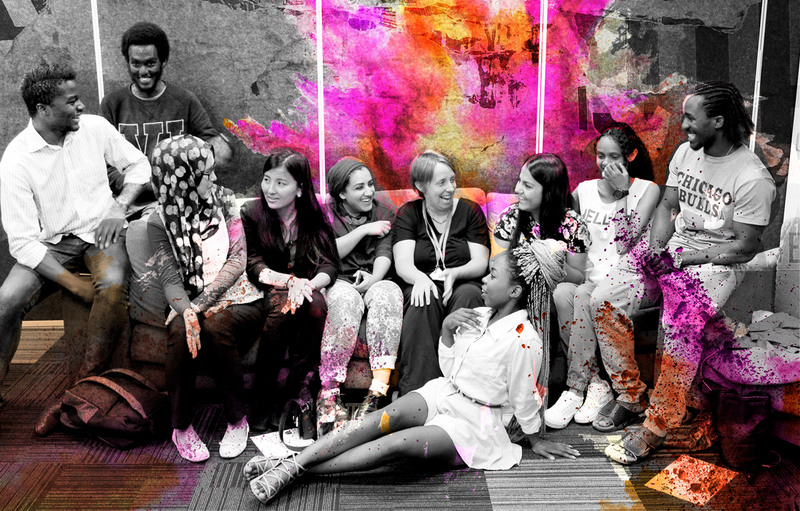 The Multicultural Youth Advocacy Network of Western Australia (MYAN WA) provides a voice to the unique issues faced by young people from refugee and migrant backgrounds and a forum for members to network, share information and address sector issues. The network was established in 2005 as the Refugee Youth Services Network (RYSN). In October 2014, YACWA became the new auspice agency for MYAN WA and relaunched the network at highly attended event at the Mirrabooka Multicultural Centre. MYAN WA is currently staffed by a part-time Project Coordinator, and two part-time Project Support Officers. MYAN WA is overseen by an Executive Group (EG) comprised of 12 members from the youth and settlement sector, including two young people from refugee and migrant backgrounds. The EG provides strategic guidance to the network. MYAN WA current has over 400 members; this includes young people, community members and youth/settlement sector workers. Membership is currently free. Network members receive monthly newsletters and invitations to MYAN WA events. Click here to join MYAN WA today. MYAN WA holds four forums each year which bring the sector together to network and build their knowledge by listening to keynote speakers. They also provide an opportunity to meet young leaders from refugee and migrant backgrounds, who are invited to participate in the forums. MYAN WA coordinates many projects, including Shout Out, Catalyst Youth Summit and others during the year. To get involved in either of these working groups, email myanwa@yacwa.org.au or phone 9227 5440. MYAN WA currently provides staff support to the Catalyst Youth Group, which is a group of young people aged under 26 from refugee and migrant backgrounds who want to effect change in their community. The group meets at the YACWA office. MYAN WA currently receives funding from MYAN Australia – the national peak body on multicultural youth issues. MYAN WA is auspiced by YACWA, and YACWA contributes in-kind to the network via the provision of infrastructure, administration and policy support. MYAN WA applies for grant funding as appropriate to support project, such as the Catalyst Youth Summit, Shout Out and other work.